Job/Research Area: Applied tree improvement and ecophysiology. 2014-present: Member of the Technical Review & Steering Committees for the 5-year review of the Alberta Forest Genetic Resource Management & Conservation Standards. 2012-present: Elected member of the Executive Committee, International Poplar Commission (FAO). Rome, Italy. 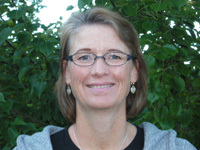 2012-present: Founding Board member of Tree Improvement Alberta. 2009-present: Member & writer of the technical review committee: AB Afforestation Carbon Credit Protocol. 2009-present: Member of the Genetics Working Group, Poplar & Willow Council of Canada. 2010-2014: Communications Chair of the Alberta Forest Genetic Resources Council (AFGRC). 2009-2014: Chair, Poplar & Willow Council of Canada. 2002-2014: Industrial Sector Member – Alberta Forest Genetics Resources Council. 2001-2009: Co-Chair of the Genetics Working Group for the Poplar Council of Canada. Major Responsibilities/Research Interests: My interests include addressing both basic and applied questions to enhance conifer seed orchard productivity, assess the impact of elite breeding in white spruce on increasing gain, and understanding trade-offs in selection for growth versus wood quality and drought resistance. Additional interests include integrating genetic gain into growth and yield models and if growth increases can be achieved through disparate population breeding in balsam poplar. A more fundamental research interest is to understand mechanisms underlying the distribution of aspen clones in terms of size and gender on the landscape. Students will be given exposure to industrial and government challenges and be expected to develop their research projects while considering both policy implications and industrial application. An evaluation of both the genetic value combined with the social and energy sector pressures on the landbase will also be undertaken through development of a model designed to evaluate tree improvement programs across the province. Provincial Industrial & Government Partners: Alberta-Pacific Forest Industries Inc., Alberta Newsprint Timber Ltd., Canadian Forest Products Ltd., Millar Western Forest Products Ltd., Huallen Seed Orchard Company Ltd., West Fraser Mills Ltd. including: Alberta Plywood, Blue Ridge Lumber, Hinton Wood Products, Sundre Forest Products, and Weyerhaeuser Company Ltd. including: Grande Prairie Timberlands & Pembina Timberlands and Alberta Environment & Sustainable Resource Development.